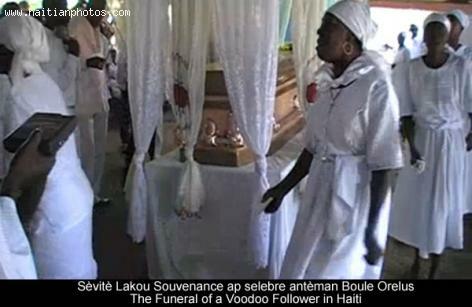 Mass graves after the Haitian earthquake in January 2010 were an inevitable consequence of such a catastrophe. But, to a country so steeped in and quixotically dependent on the use of ceremony to assist their departed from this world to the next, ignorance of their loved one's final resting place is difficult for the living to bear. Almost a month from the earthquake, one funeral director revealed he'd handled less than ten funerals. Considering the hundreds of thousands who died, the sum of souls still linked to their earthly bodies is a terrifying concept. 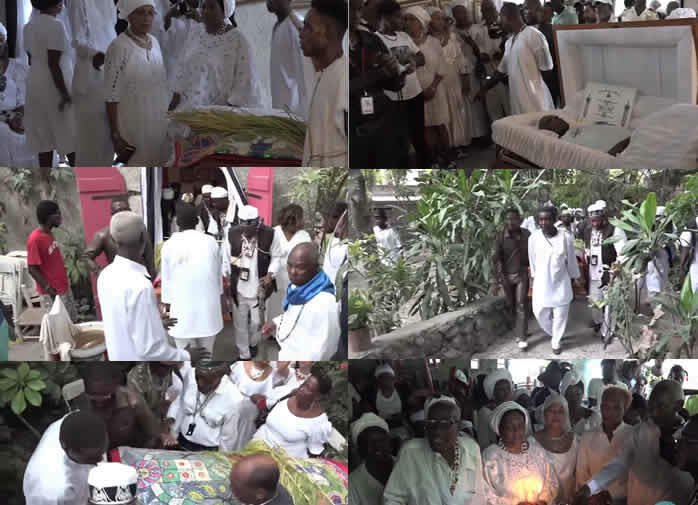 On Saturday, February 21, 2015, there was a national funeral fpr all 17 Victims of Kanaval accident. 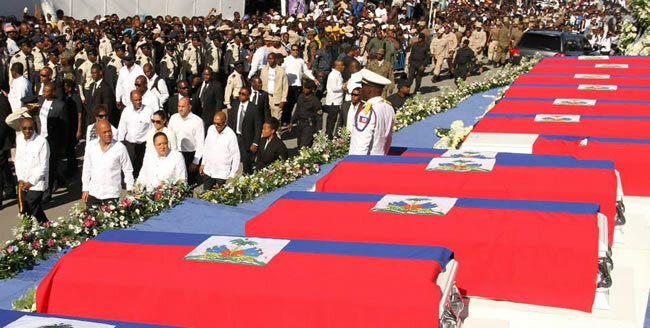 Haitian Prime Minister Evans Paul officiated at a national funeral held for 17 people killed by being trampled to death during the 2015 Carnival. 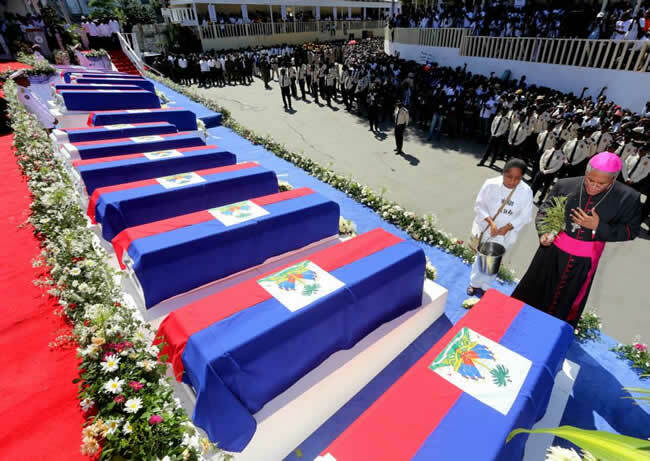 The deceased's caskets were each covered with the Haitian flag. 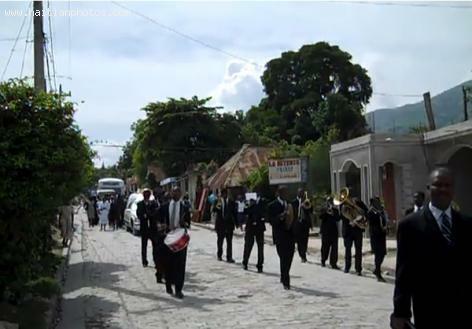 The funeral took place at Champ de Mars Park, and was also attended by President Martelly and First Lady Sophia. 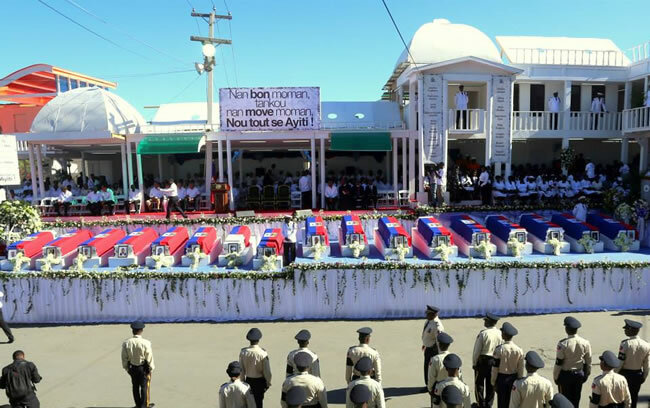 The incident that started the stampede occurred when singer Daniel Darinus, perched atop one of 16 parade floats, failed to clear a low-lying high-voltage cable. He mistakenly thought he had cleared all cables in the path of the float and became distracted by the crowd of parade watchers. It was reported his head hit the power line, which shocked him, generating a loud explosion along with a bright flash. The crowd panicked, causing a stampede. Darinus sustained serious burns that he was treated for at the general hospital. Jean-Claude Duvalier, Haiti's bloodthirsty tyrant, married high school sweetheart Michele Bennett, making her First Lady of Haiti. She ingratiated herself with the public initially, but later developed a reputation for greed and corruption. She also wielded political power beyond her husband's abilities to get things done. 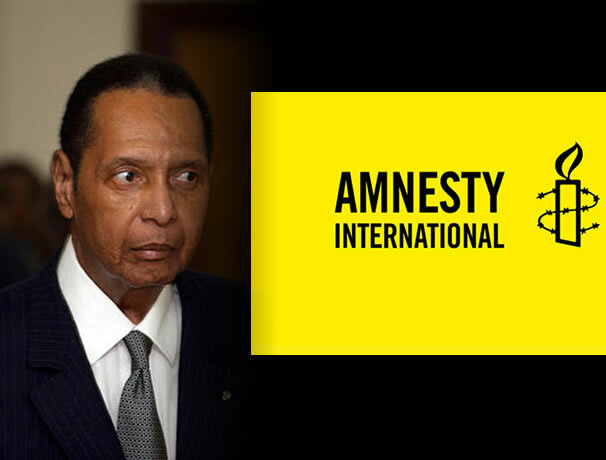 Michele gave Duvalier two children, a boy and a girl. 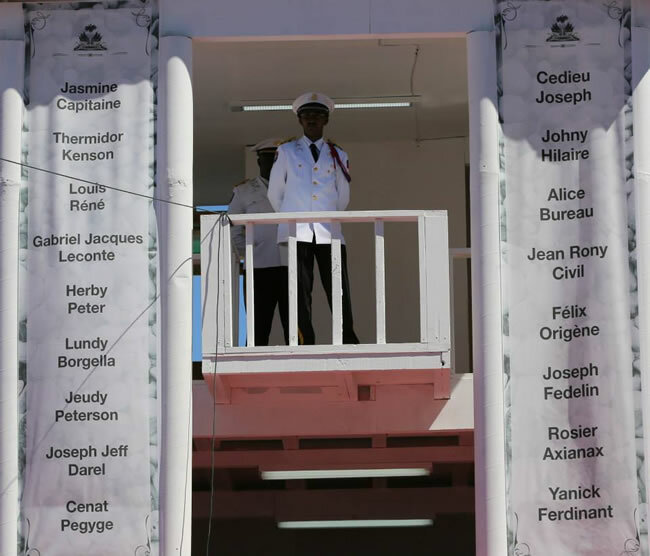 After a 15-year rule, Duvalier and she fled to France where they eventually divorced. AI Director Erika Rosas said, ". 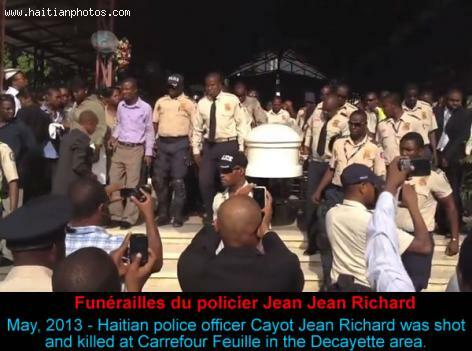 . . President Martelly could have expressed compassion for the thousands of victims of Duvalierism . . . . This is a slap on the face for human rights and the victims' struggle to justice." Lascahobas, a small community resting on the Central Plateau, is an hour's drive from the Dominican Republic. A population of 7,574 residents occupies the hamlet, a market center for the agricultural region surrounding it. Overwhelmingly Christian, it tolerates the practice of Voodoo. At the start of the new millennium, missionaries of the Episcopal Church have been providing spiritual sustenance to Lascahobas and the communities of Cohoroes, Rantamoulie, La Hoye, and Poulie. Its church, St. Esprit, also operates a school.